In 2007 a group of Aboriginal women from the Fitzroy Valley in Australia’s remote northwest decided enough was enough. Their community had experienced 13 suicides in 13 months. Reports of family violence and child abuse were commonplace and alcohol consumption was rising at an alarming rate. Something had to be done. Something had to change. A group of courageous women from across the Valley came together to fight for a future. For everyone in their community. The results were inspiring and the healing has now begun. Launched at the United Nations in New York in 2008 and by the Governor General in Australia. The film has played a key role in rolling out alcohol restrictions throughout the Kimberley. 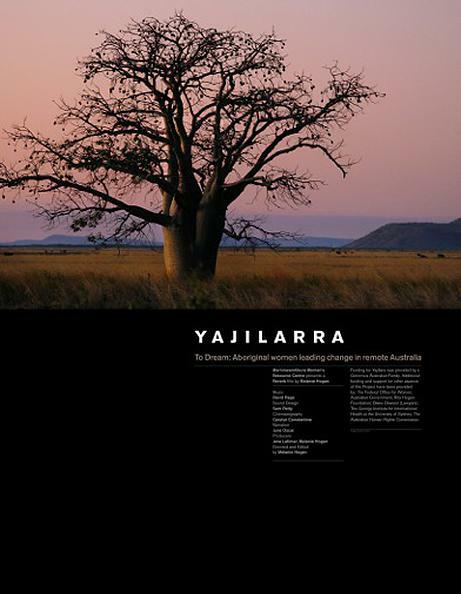 Very few positive films about Indigenous Australians are made, but Yajilarra was an opportunity to tell a truly inspiring story. Needless to say, I jumped at the chance.This film was made so that the story of these women could be shared with Australia and the world. It is not the first film I have made in Aboriginal communities and on each occasion, I have relished the opportunity to listen to and support our Indigenous Australians. Yajilarra was another great way to learn more, this time, about how Aboriginal women of the Fitzroy Valley see a path of healing for their communities. As a result of their dreams and actions, the town of Fitzroy Crossing is a different and better place. But introducing alcohol restrictions is just the first step. These women have big dreams. I am very proud of Yajilarra. It has been an honour to work on this film. We should all listen to our Indigenous people; there is a great deal to learn.